This angel biscuits recipe is a cross between a flaky biscuit and a yeast roll. 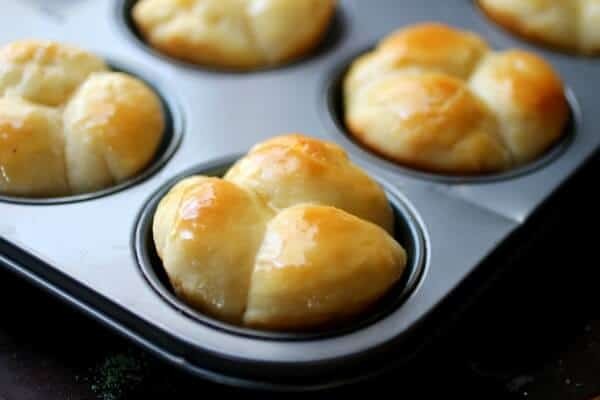 These easy yeast biscuits are light, fluffy, and rise super high but they don’t take much time at all. We love them with cream gravy over the top for breakfast. This old fashioned southern recipe is foolproof! Make them once and you’ll know why they’ve been a standard here in the South for decades. Biscuits are a “thing” in the Southern states. When I was a kid you got bread of some sort with every, single meal. The school cafeteria had a big basket of white bread in the middle of each table and at home if there wasn’t biscuits or rolls you can bet there was a few slices of store bought bread in the middle of the table. Well, not in the middle of the table exactly. In a bowl or on a plate. 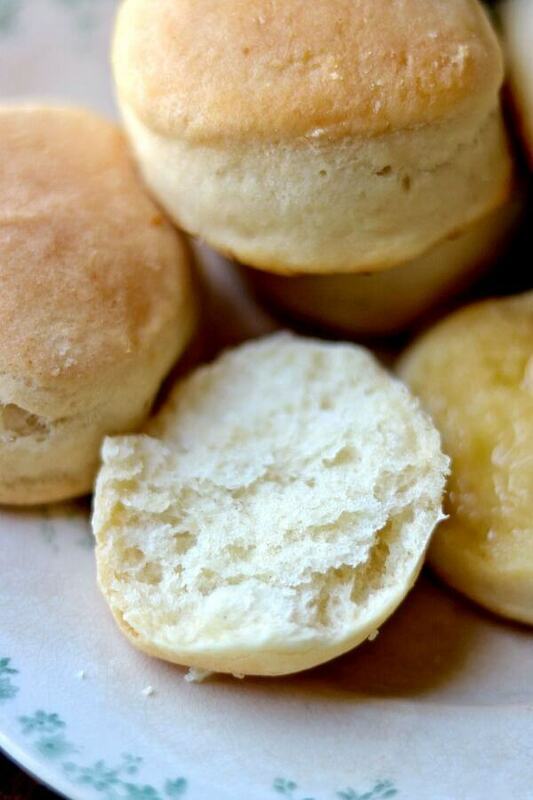 Biscuits were most often a breakfast thing since they could be made quickly. In fact, when my older kids were small and I wasn’t working we had biscuits for breakfast a lot. They think their younger siblings have it so much easier… but the lack of hot biscuits on the breakfast table tells a different tale! Anyway, this angel biscuits recipe comes out so light and fluffy that it’s sinful. They only have a 10 minute rising time so there’s not much of a time investment, either. You can even roll them out the night before, cover them, store them in the fridge, and bake in the morning. Or, you can even make the dough, cover it, and put it in the fridge for a couple of days. This is great because you can take out what you need and have fresh biscuits as you want them. 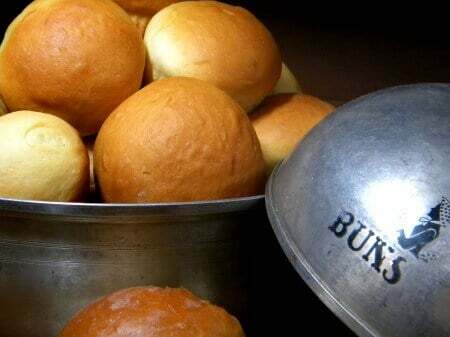 If the dough is cold let the biscuits rise for some extra time before baking. 15 to 20 minutes is fine. Be careful not to handle them too much, though. Over-kneading or using too much flour when rolling them out can make angel biscuits tough. You don’t want that. I’ve heard angel biscuits called mile high biscuits or risen biscuits, too. Looking at the recipes they all seem to be about the same. 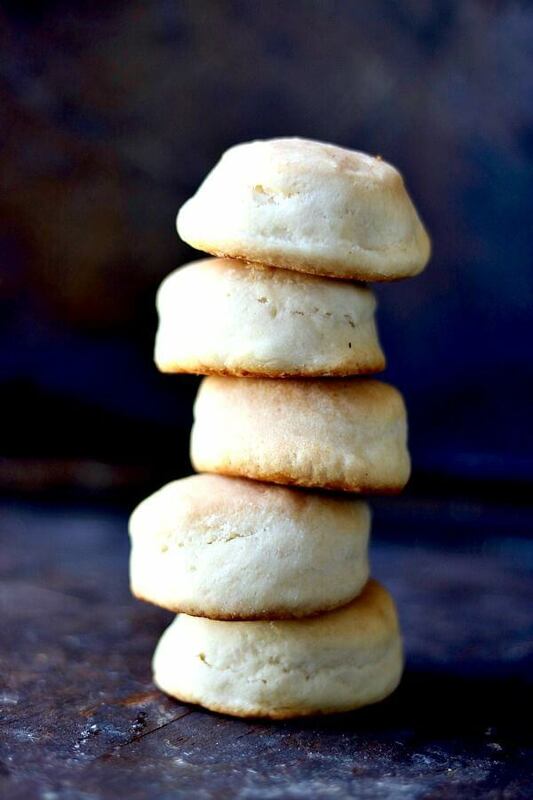 White Lily flour has been the Southern secret for light biscuits since 1883! Here’s the angel biscuits recipe. It’s SO good! Enjoy! If you like this recipe please consider giving it a 5 star rating. High and light, these angel biscuits are buttery bites of goodness. 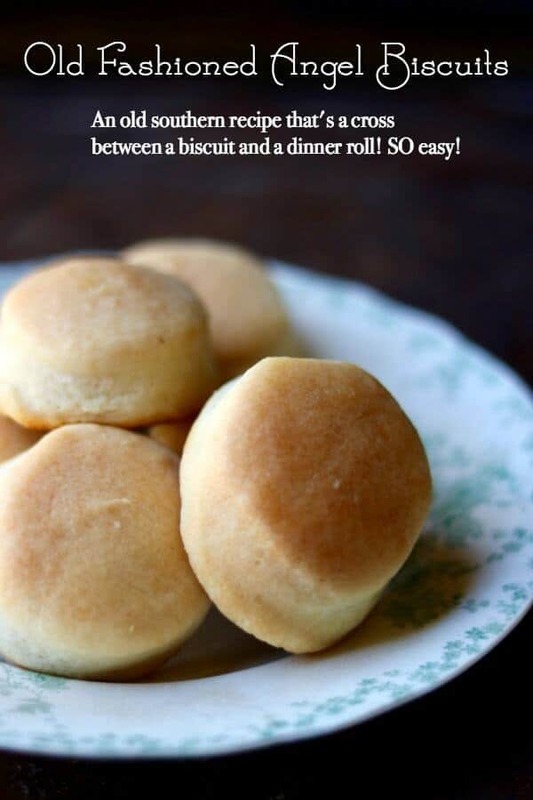 They are an easy cross between a biscuit and a dinner roll that everyone loves! You can cover the dough and refrigerate it for up to 2 days. Let rise for 15 to 30 minutes before baking if the dough is cold. Dissolve the yeast in warm water with 1 tablespoon of the sugar. Mix the flour, sugar, baking powder, salt, and baking soda in a bowl. Use a grater to grate in the cold butter. Stir in the buttermilk and yeast mixture. Mix gently until it forms a dough but don't over mix. Knead lightly until the dough is smooth. Roll out gently and cut with biscuit cutters. Place the biscuits on parchment or silpat and let rise for 8 to 10 minutes. Brush the tops with melted butter if desired. Bake for 12 to 15 minutes, or until light, golden brown. My "Biscuit cutter" is a tomato paste can that I've cut both ends out of. It makes perfect biscuits as far as I'm concerned, although my husband says they are too small. I prefer "petite". If you use that size cutter you'll get 18 to 24 biscuits. Made these into hamburger size rolls. Worked out great.Thanks for moderate size recipe, made six rolls. After baking, do you think these biscuits could be frozen and used when needed? Could I omit the salt in this recipe? My husband is on a low sodium intake at present, only. 2000mg per day is allowed. They were the perfect addition to our Christmas dinner!! Loved the fact that they could be prepared ahead of time except for the baking. They were as light as feathers on an angels wing!! Oh thank you for letting me know! I’m so glad you liked them! Looking for an Angel Biscuit receipt and found yours. What really caught my eye was your name. That was my maiden name Marye. My dad was from Alexandria La. Any chance we might be related? ?